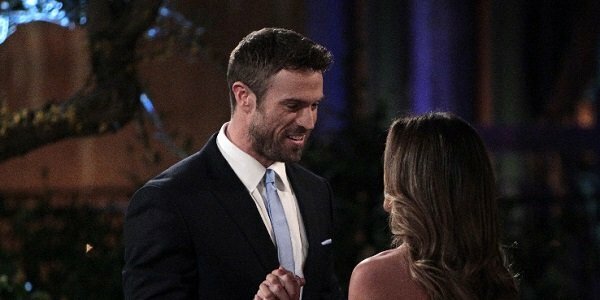 This season of The Bachelorette began with mini-controversy when it was revealed that Bachelor finalist JoJo Fletcher would be heading up the companion series rather than the heavily rumored Caila Quinn. And just two episodes in, the show feels like its veering off into spoof territory thanks to Season 12’s ridiculously over-the-top villain Chad Johnson. It looks like he isn’t just keeping his antagonistic ways tethered to on-screen antics, either, as it was revealed Johnson recently purchased Internet domain names for some of his competitors, only to have the links redirect users to his own Instagram page. This is zen and the art of online trolling. The Bachelorette has already wrapped the shooting process for Season 12, but it’s obvious that Chad Johnson is stretching this out into a half-hour of fame at the least. He took shots at fellow show contestants Derek Peth, Robby Hayes, Chase McNary and Alex Woytkiw by buying up websites named after each of them and then rocketing interested web surfers straight to his own social media presence. The 28-year-old is quite active across the various social platforms, so it’s understandable he’d want to build his own cred in such a manner. And while it’s inarguably a cheap move on his part, I have to throw some silent applause his way. Johnson offered People his crystal clear reasoning behind the net prank. That’s business, and it’s hilarious. Well, no one can say that Chad Johnson is trying to fool anyone with a chivalrous-to-all-of-humanity approach to making a name for himself. He apparently understands the cutthroat attitude that needs to be ingrained in people in the entertainment biz, and before you start cutting throats, you obviously have to start setting up fake domain names. And you have to start eating your meat. Chad likes meat. Speaking of cutting things, ABC will offer up a two-part Bachelorette arc that the network is calling “Chad-ageddon,” and the trailers for the next episode feature Johnson saying the all-around amazing threat: “I’m gonna cut everyone here’s legs and arms off.” That already sounds like it’s going to set up something crazier than anything that happened on The Bachelor last season. I doubt he makes it through to post-finale dates with JoJo, but I admittedly cannot wait to see how terribly things go for Chad and his quasi-nemeses before that finale gets here. Amputations or bust. The Bachelorette airs Monday nights on ABC.